I’ve been sniffing around getting an SSD for my laptop for some time, but have been forced to wait for the prices on larger-capacity SSDs to fall. However, at home I have an old (bought it in 2006) Mac Mini that is used as my kids computer. The original 60GB hard drive that was in it finally died last week, and I decided to try dropping in a small SSD to see if I could breathe some new life into the machine. My shiny new 64 GB Crucial SSD arrived today, and this evening I tore down the mini to swap out the drive and re-install the OS. After having used it for a few hours tonight, here are some initial impressions of the effect it has had on the system: It is FASTER. LOTS faster. I’m not just talking about a fresh-install-of-the-os kind of faster, this thing feels like a completely new box. Note in the above that my lappie has a 3Gb interface on the SATA controller, but the drive that is in there is only capable of 1.5Gb. On the mini, the drive is capable of 6Gb, but the interface on the SATA controller is only 1.5Gb. However, the end result is that BOTH devices are supposedly capable of a 1.5Gb transfer speed. 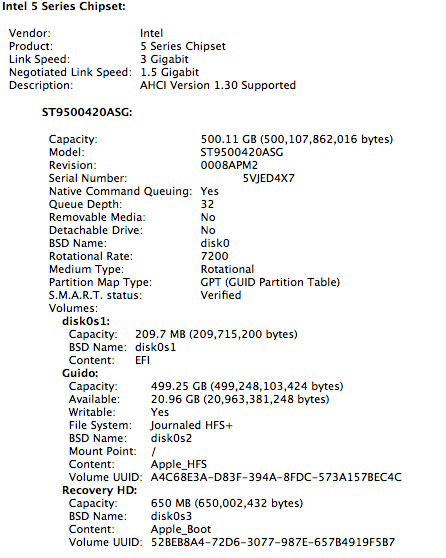 MacBook: 10.88 / 45.5 = .239Gb / sec. 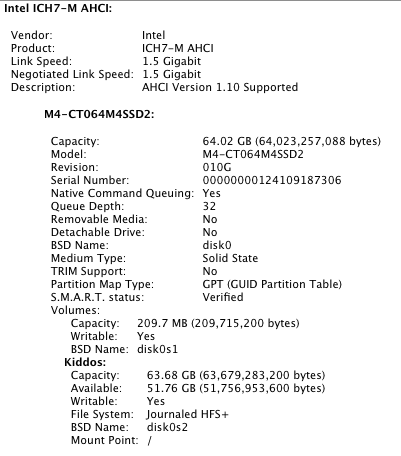 Mini: 10.88 / 22.5 = .485Gb / sec. As I understand things, since the devices had to do both the reading AND the writing of the data in this time it is not possible for them to show an effective copy rate of 1.5Gb, as that is the max speed of either reading or writing, but not both at the same time. Still, the Mini killed the MacBook on this one. It is obvious that the drive in the mini is easily effectively capable of twice the performance of the one in my laptop. 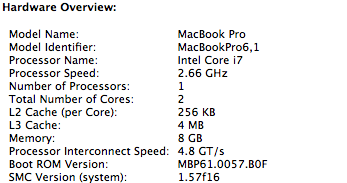 Yes, the macbook pro took more than a FULL MINUTE longer to boot than a mini from 2006. Stuff like framerates in games and other processor-heavy tasks are still better on my macbook by a wide margin, but anything that has to do with the disk is now at least 2x as fast or more on the mini. 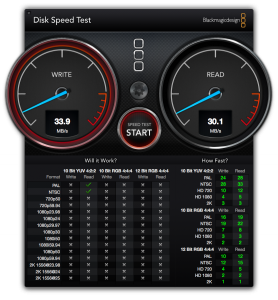 Conclusion: I thought I was going to be looking for a completely new computer for the kids after the drive failed – the whole machine was just agonizingly slow with the original drive, and I was just about ready to throw in the towel to replace the entire computer. 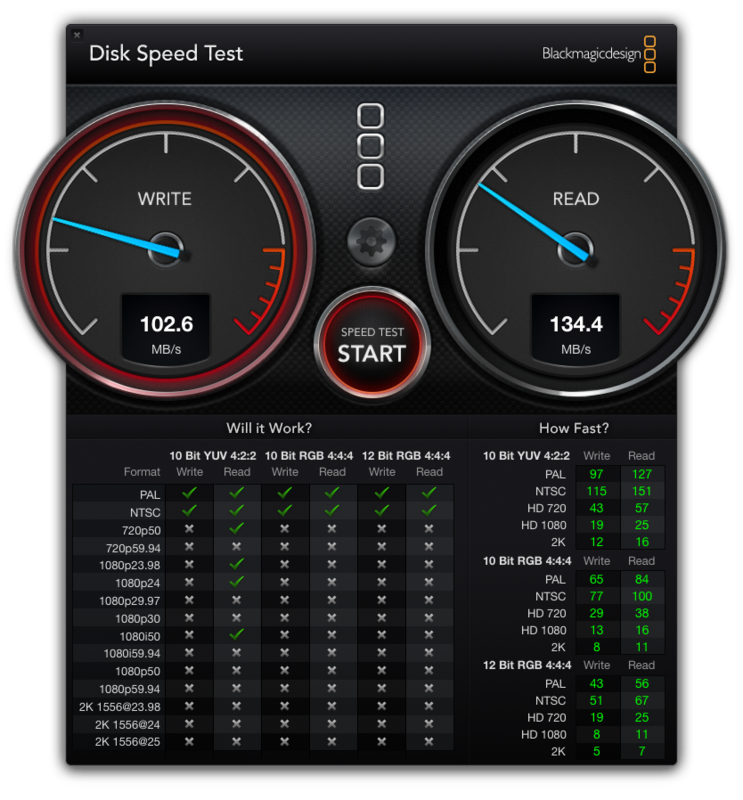 I’m very glad that I decided to try the SSD first instead…I’m truly amazed at how much faster the whole system feels. Every app in the dock launches with a single bounce and most things respond nearly instantly. 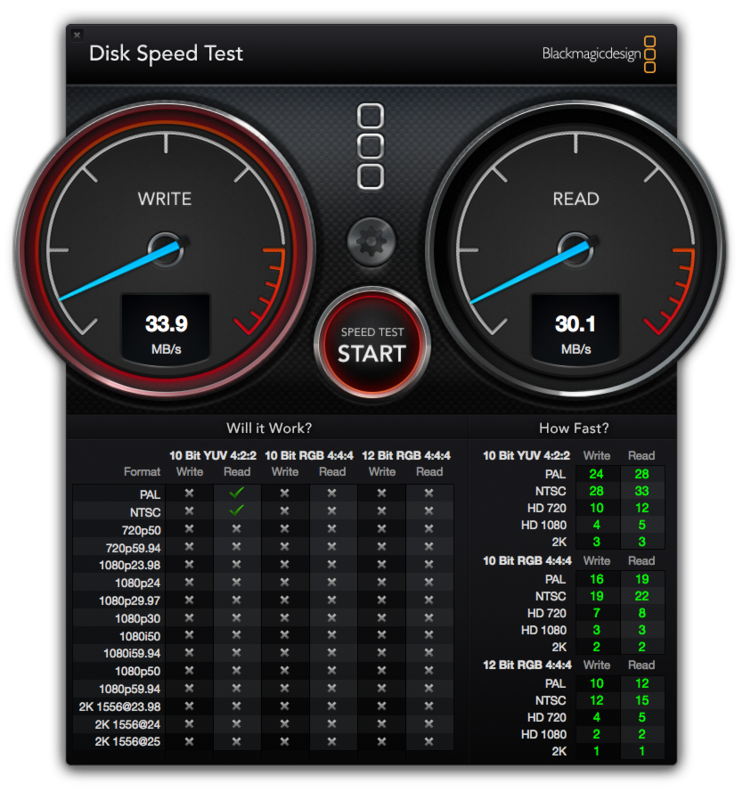 If you are trying to figure out how to resurrect an older machine, go get an SSD. You’ll be glad you did.